Printable Busy Bee Activity Books for Kids. Constantly being a busy bee? Need something to keep the kids busy? These bee printable activity books should do the trick! My grandfather was a bee keeper so I have been a bit fascinated by these busy workers since I was a kid. I’d like to pass on some of the bee enthusiasm and these bee printable activity books are the first step in that direction. There are two activities on each letter page so you can fold them in half and bind them into an activity book (I recommend printing them out on both sides). You can print out all the pages or make the book by using just some of the pages making it more suited for your kid’s age (as there are a few difficulty levels). Beginner bee activity book focuses on simple activities – coloring pages, spot the difference, simple counting, maze solving, drawing – simple and engaging tasks the youngest kids will love to do. There’s also a separate page with tracing letter activities. Advanced bee activity book has a word search puzzle, a maze and writing activities amongst other things. 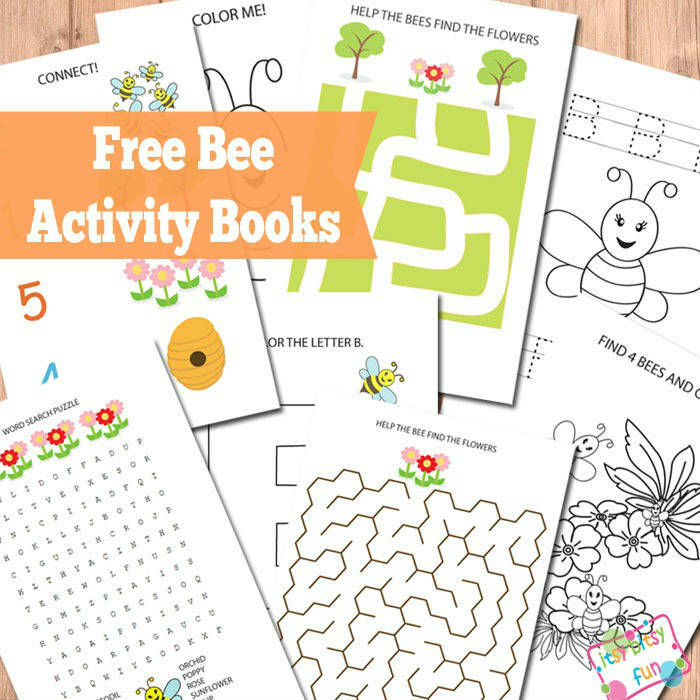 Get you free printable Bee Activity Books here.